Not the actual "Facebook" baby. Just cute as hell in an FB onesie. A popular Egyptian newspaper, Al-Ahram, has announced that a new father in the recently liberated nation has named his first born child “Facebook.” Social media obviously played a major roll in the successful protesting by the Egyptian people that led to dictatorial President Hosni Mubarek stepping down. But this poor girl! But how will his daughter one day register for an actual Facebook account? Their real name culture will automatically flag the girl as spam, for sure. I suppose she has plenty of time to figure these things out. Hmm...Ah yes. I see it now. 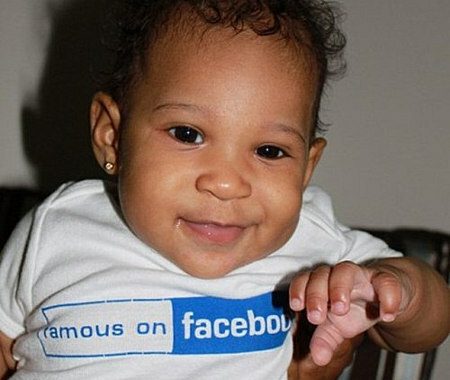 There are currently 5 million Facebook users in Egypt, and now one little girl actually named after the social network. But don’t you think “Google” has a nicer ring to it?